The strange case of taxi drivers in Japan. What if space…was cheaper? Station Breaker launches Monday. Get it! Going to space…with light! Fusion power talk! NASA360 video. Bussard Google Talk. Podcast: Looking for Beer or Frankenstein? JF Dubeau, author of Sword & Laser selection “The Life Engineered,” joins us! AI and machine learning: should we fear it? Could you encode messages in the newly discovered gravitational waves? Stay tuned to the end to find out how to win a free copy of JF’s book! 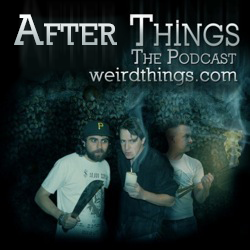 Posted in Podcast, Podcasts | Comments Off on Podcast: Looking for Beer or Frankenstein? RIP Marvin Minsky. The smartitude of admitting you’re dumb. SpaceX’s Hyperloop competition. Does Flat-Earth fall flat? What’s your guilty pleasure conspiracy? Brian: Surely You’re Joking Mr. Feynman and What Do You Care What Other People Think? You are currently browsing the Weird Things blog archives for February, 2016.